Ayeyarwaddy river in Myanmar (Burma). 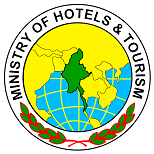 Paukan River Cruise Journey from Bagan to Mandalay 2 Nights-3 Days. Paukan Cruise is boutique hotel on the river, beautifully furnished with a unique combination of modern and traditional motifs.The single or double beds are proper and comforting ones for antique driveler, enough room for 55 passengers who will be looked after by a 30-member crew. Take a relax at Paukan sundeck. The only all-balcony ship on the Ayeyarwaddy River. 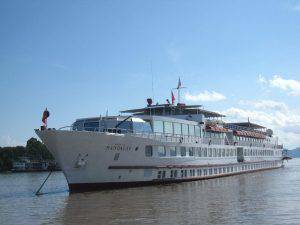 The best new Luxury cruise ship in Ayeyarwaddy river Myanmar. Sanctuary Ananda is custom built by local craftsmen using traditional materials while offering sleek contemporary luxury. Sanctuary Ananda set sail on the Myanmar Rivers in November 2014 and offers 20 spacious suites on three decks, the luxurious Owner’s suite, a sundeck with an outdoor pool and the Kansi panorama lounge. Welcome to one of most exciting Belmond collections in Ayeyarwaddy. 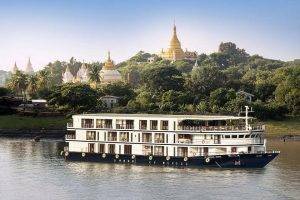 Belmond Cruise Journey include with internal flights between Yangon and the ship, All transfer, Meals, Excursions and guide include in the package. Gently Cruising in Ayeyarwaddy River and Many spectacular view of ancient Bagan, the royal capital of Mandalay, sacred Sagaing Hills as well as Bhamo. 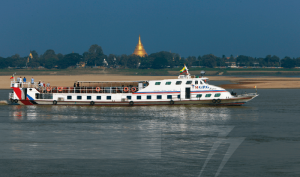 Daily Departure Ayeyarwaddy river cruises from Bagan and Mandalay cities. Operating from October to end of March. including breakfast, Lunch and afternoon tea and snacks. 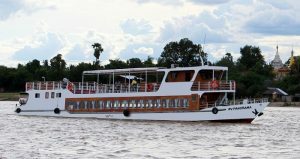 Alliance Myanmar River Cruise formerly know as RV Panorama and MGRG cruises operates daily departure basics between two cities.